As part of a consent decree, the Seattle Police Department must demonstrate over the next two years that it is maintaining reforms to address allegations of excessive force and biased policing. 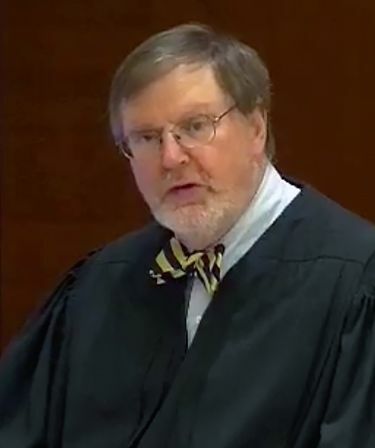 U.S. District Judge James Robart on Tuesday approved the city of Seattle’s plan to submit a series of reports to show whether federally mandated police reforms are locked in place, with an ultimate goal of terminating a court-ordered agreement by 2020. Robart asked for the plan as part of his January ruling finding the city in full compliance with the main terms of a 2012 consent decree with the U.S. Justice Department. As part of the consent decree, the Seattle Police Department must demonstrate over the next two years that it is maintaining reforms to address allegations of excessive force and biased policing. Under the plan, the city will take the lead role in carrying out the “critical self-analysis,” although the Justice Department and the court’s monitor, Merrick Bobb, will scrutinize the progress. The Justice Department and monitor concurred with the plan, labeling it a joint approach that resulted from extensive discussions. The city will submit seven quarterly reports to the court beginning in July, with the hope of including a joint motion to terminate the consent decree with its final filing in January 2020. While the city’s proposal is designed to pinpoint concerns so they can be quickly fixed, the timeline could change if “significant shortcomings” are identified, according to a city memorandum submitted to Robart. “The City recognizes that, ultimately, it is more important to get this right than to simply get this done,” the memorandum says. Under the plan, the Police Department’s Audit, Policy & Research Section will conduct audits, paying particular attention to concerns flagged by the monitor and the court during the first phase. The reports would be designed not only to sustain compliance, but to “drive reform beyond the requirements of the Decree and after federal oversight has ended,” according to the memorandum. The city also will provide updates on protracted contract negotiations with the Seattle Police Officers’ Guild to ensure any agreement with the union, which represents sergeants and officers, “falls within the boundaries” of the consent decree, the memorandum says.